Yorgo Constantine has been cast as one of the lead bounty hunters in Fast Five. Justin Lin will return to direct the film, while Chris Morgan will pen the story. 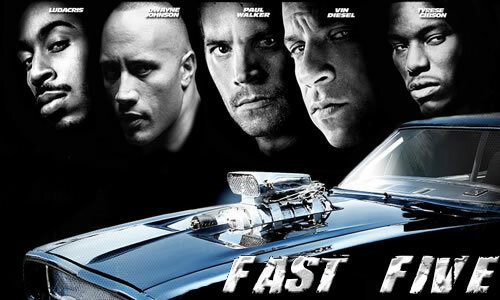 The film stars Paul Walker, Vin Deisel, Dwayne “The Rock” Johnson, and Tyrese Gibson. Yorgo Constantine guest stars on the season finale of The Unit. In the episode, “Unknown Soldier,” Constantine’s character, Armen Kochenko, is revealed as the criminal mastermind behind the conspiracy that plagued the unit throughout the season. Armen Kochenko (Constantine) is a tough former KGB officer with a pretty fantastic Russian accent. Yorgo Constantine to Guest Star as Grisha on CBS’s Without a Trace. Yorgo Constantine lands a role in the 4th installment in the action packed Die Hard series, Live Free or Die Hard starring Bruce Willis. Yorgo will play Russo. The movie is set to be release June 22.